"Submarines, Secrets and a Daring Rescue" May 2016 Book Giveaway ~ The History Girl! 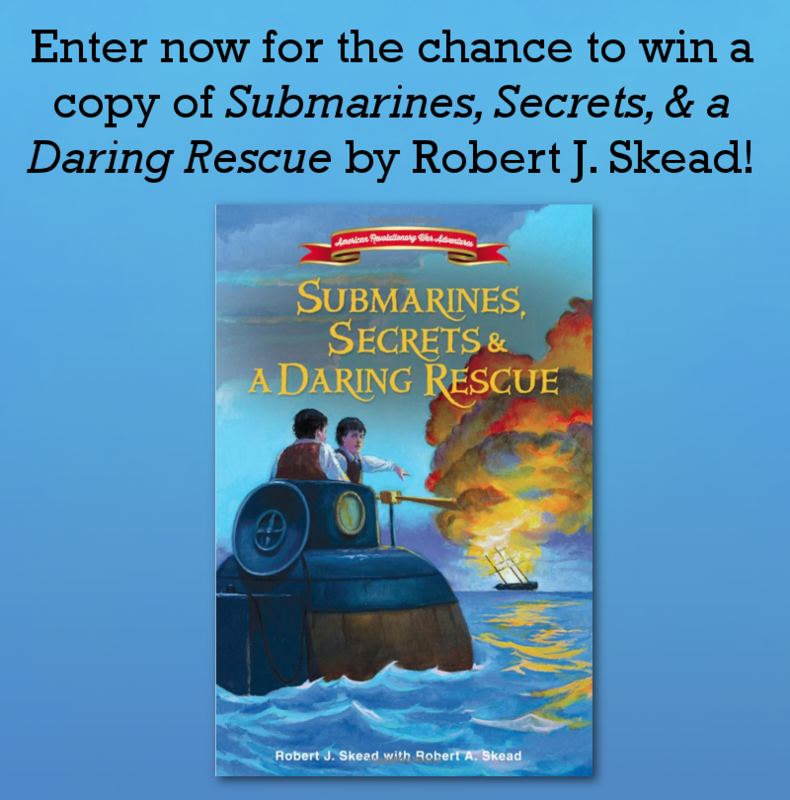 Thanks to author Robert J. Skead, The History Girl is offering one copy of his book, Submarines, Secrets and a Daring Rescue (American Revolutionary War Adventures). In order to be in the running, submit your name and e-mail address below! 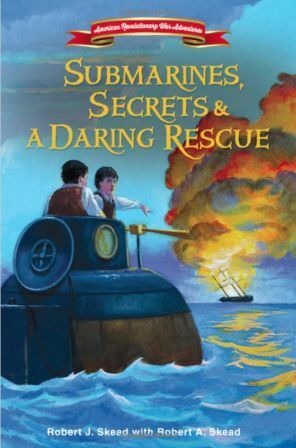 In this second book in the American Revolutionary War Adventure series, Submarines, Secrets, and a Daring Rescue, twins Ambrose and John Clark find themselves volunteering for another mission to help the newly forming United States. Inspired by their success in delivering a secret message to General George Washington himself, the boys step up to help transport much-needed gunpowder to the patriots and end up in an even more dangerous situation, trying to man one of the first submarines and then, later, attempting a prison break to rescue one of their older brothers. Follow these brave young patriots as they follow in their father’s footsteps and rely on each other, their considerable courage, and God’s providence for guidance and strength. *One entry per person. *Valid for all residents of the 50 United States of America, 13 years of age or older. *Entries without a valid e-mail address are not eligible. *Contest begins May 8, 2016 at 6:00 pm EST and ends May 14, 2016 at 8:00 pm EST. *The winner will be chosen at random. *The winner will be notified via e-mail on May 14, 2016 after 8:00 pm. The winner must respond with a mailing address within thirty-six (36) hours or another winner will be chosen.